Bishop, we - i.e., you, the Standing Committee and all the leadership of the diocese - are not here to affirm our own personal vision but to help guide and support the diocese in determining a shared vision. Can we please let that work go forward without throwing obstructions up, creating dissent through distrust and misinformation, and investing heavily in anything that will stretch the finances of the diocese beyond anything realistic and cause more and more parishes to withhold funds. Clearly, there is a power struggle going on in the diocese. I suspect that members of the Standing Committee see this as an attempt to rein in an out-of-control megalomaniacal bishop. Without trying to justify Bennison’s actions—I have called for him to resign myself—it is probably the case that the bishop sees the struggle as an attempt to preserve episcopal prerogatives. Not only does Bennison admit no guilt, but he blames everyone else for his troubles. Bishop, the letter of the law has allowed you to return. Please consider the spirit of the law as you determine your way forward, for yourself and for the Diocese of Pennsylvania. Perhaps the Standing Committee is losing hope that it can convince Bennison to step down. No doubt, that is what Standing Committee members are praying for, however. It has been six weeks since your return to active ministry in the diocese of Pennsylvania. You have met with the Standing Committee’s Executive Committee, attended one Standing Committee meeting, met with Diocesan Council’s Executive Committee, chaired one Diocesan Council meeting, chaired one Council of Deans meeting, met with a small group representing the Diocesan Mission Planning Commission (DMPC), and met with many others, individuals and small groups as well as the staff at Church House. You have attended one House of Bishops meeting, and you have also addressed some issues concerning the situation in the Diocese of Pennsylvania through the media. We list these things in order that you may understand that we are very concerned with the inconsistency of your message, the seeming lack of understanding on your part as to how well we do now communicate in the diocese, and the discrepancies between what you have said and what you seem to be doing. You informed the Standing Committee and others that you have clearly seen that there have been changes in the diocese during your absence, and you felt it would be important for you to listen for some time before determining your own actions going forward. But your actions and communications these last six weeks belie this. To begin with, you voiced to the Standing Committee your commitment to the process approved by Convention in the formation of the Diocesan Mission Planning Commission and told us you had made clear to that Commission that you supported their work and would not be about changing this way in which the diocese has agreed to go forward. Bishop, if what you have said about supporting this structure is true, then why are you attempting to revive the situations having to do with Wapiti and the Cathedral Commons project? These are long-range planning issues that require time and finances. The Standing Committee, as a fiscally responsible agent, has spent the time you were away considering not only what the diocese can afford but, more importantly, allowing a time and space for the diocese to determine that itself. The very work of the DMPC is to look ahead, to determine what we think the church in Pennsylvania will look like, be like, in the next two years, ten years, twenty-five years, and what our mission will be. They still have much work to do: gathering facts, wishes, visions, and opinions from the diocese, and getting information from city Planning Commissions and other qualified sources. Why would we even consider major real estate projects before knowing what it is, and who it is, we are planning for? Additionally, it has come to our attention that you are discussing the possible purchase of another building (the Karp property) in relation to the Cathedral Commons project while three governing bodies (Standing Committee, Finance and Property, and the Church Foundation Board) have committed to the sale of the one we own now - 3717-19 Chestnut Street. Why would you encourage such a thing at this time in the life of the diocese? Are you chasing a dream, a vision, of your own? It has also come to our attention that you have mentioned the possibility of renewing activities at Wapiti. Again, in your absence the decision was made by convention to sell Wapiti. There is a committee that is representative of Standing Committee, Diocesan Council, and Finance and Property that have worked many hours with highly qualified real estate people in marketing this property. If you wish for convention to reconsider this decision wouldn’t it make sense for you to first consult with this committee rather than for all of us to read about your thoughts on such a volatile subject in the newspaper? It is so disrespectful of all the diocese has worked for in being open and honest with each other for you to attempt at this time to undo that work by undermining and obfuscating information. We are also aware that it is your intention to use funds from the income of the Nunn’s Fund , approximately $70,000.00, to publish the book on the history of the diocese - a project left unfinished when you were inhibited. Again Bishop, wouldn’t it make sense to find out why that project had not been completed before forging ahead? The Standing Committee has been extremely careful, frugal even, with the income from the Nunn’s Fund during your absence. We recognized that our future needs are great and hoped those funds would be available as, again, we worked towards an understanding of what the future of our diocese will look like. According to the trust document, these funds are to be used “at the discretion of the bishop for the good of the diocese;” and while we were the Ecclesiastical Authority, we guarded these funds, honoring the use for which they were intended. In our extremely fragile situation, and considering the confusion and great discontent of so many at your return, it makes no sense at this time to publish a history of this diocese, much less to spend $70,000.00 doing so. The diocese has spent $133,000.00 on this project already, and we have met all contractual obligations. We are in a position to wait for publication until we can (1) afford it and (2) determine if this history book should include another chapter or two about the history we have made here in the past five years. At Diocesan Council meeting on Saturday, September 25, 2010, you made clear that the pledge to the DMPC of $50,000.00, made by the Standing Committee and committed from the Nunn’s Fund income, would be honored by you, but that you could not offer any more than that. Bishop, thanks to the Standing Committee’s fiscal responsibility, when you returned the income available to you was almost $500,000.00. The fact that you are willing to spend $70,000.00 for an incomplete history book but would not consider supporting the DMPC and our future mission speaks volumes to your perspective of what is good for the diocese. Granted, the DMPC did not ask for more funds, but you were adamant anyway that there would be no more for that work. As the diocese prepares to come together in convention, and as the hard facts of the Program Budget shortfall become evident to the diocese, we are extremely concerned that your apparent insistence on putting everything back the way it was before you left will cause a large number of parishes to hold back funding to the diocese, both assessments and pledges. The Standing Committee continues to hear from people in the diocese daily, through letters, emails, and phone calls, concerning your return. About 85% of these communications are negative. When it becomes clear to more and more that you want to move us back to some vision of your own, we are afraid that this will add to the potential “revolution” in the diocese. Bishop, we—i.e., you, the Standing Committee and all the leadership of the diocese—are not here to affirm our own personal vision but to help guide and support the diocese in determining a shared vision. Can we please let that work go forward without throwing obstructions up, creating dissent through distrust and misinformation, and investing heavily in anything that will stretch the finances of the diocese beyond anything realistic and cause more and more parishes to withhold funds. Finally, and perhaps most shocking of all, we have been made aware of what you said at Diocesan Council on September 25, 2010, concerning the witnesses at your trial: “It is known now that all the witnesses at my trial intentionally perjured themselves.” These are shocking words, and words which we feel you need to address immediately. Can you possibly have meant what you said? If so, this is one more indication of a serious problem. You have managed to ignore or discount the opinions and conclusions of three courts, two Presiding Bishops, the House of Bishops, and untold numbers of lay and clergy in the diocese of Pennsylvania, and now all the witnesses at your trial. We find it amazing that you are able to think that this is in any way normal behavior. In order to honor our commitment to openness and honesty we plan to make this letter public to our diocesan family. Update, 10/3/2010: Episcopal News Service ran a story on the Standing Committee’s letter here and has provided a PDF file of the letter itself here. Despite warnings that might be on labels, I am not in the habit of thinking of kitchen cleaning products as hazardous, but I got a wake-up call today. I had been using various cleaners for kitchen counters in the glass-plus-other-stuff category. These cleaners frequently required recourse to my Bar Keeper’s Friend to remove stains on counters. I decided that perhaps I should be using a stronger cleaner. A cleaner I used to use is fantastik—yes, the product name is really spelled with a lowercase F—so I bought a spray bottle of fantastik. What I did not realize is that fantastik has morphed into a family of four products. In the supermarket, I picked up the first fantastik product I ran across. I don’t remember seeing any of the other variants, but I may have just missed them. Today, I was cleaning counters with my purchase. 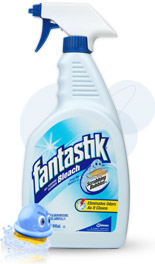 The bad news is that fantastik smells like, well, bleach. It is not easy on the hands, but it cleans well and gets rid of stains without having to resort to another product. The real down side, however, was not evident until I sat down to lunch and noticed the spots on my shirt. I immediately recognized the source of those rust-colored patches on my navy blue shirt—bleach. I had not been spraying my shirt, of course, but neither had I been taking precautions to avoid getting the cleaner on it. Yes, Virginia, it contains real bleach all right. The bottom line is that fantastik All Purpose Cleaner With Bleach works well but should be used with care. Certainly, I intend to use it sparingly, perhaps trying the heavy duty formula fantastik for routine cleaning. Note: OxyPower, Lemon Power, and fantastik are trademarks of S. C. Johnson & Son, Inc. I want to let everyone know about some recent changes to Lionel Deimel’s Web Log. I also want to point out some features that may not be obvious but may still be of interest. I’ve added a link in the sidebar to Pittsburgh Update, a site of which I am the principal author. More on this below. I suspect that it has not been obvious to some visitors how to get to the page containing only the post you are interested in. For example, if you go to http://blog.deimel.org/, you may discover that you would like to link to the second post (0n your own blog, perhaps), and you need its address (URL). Heretofore, there has been only one reliable, albeit unintuitive, way to do this, namely to click on the time stamp, which appears below the post. On many blogs, on the other hand, one can click on the title of a post to go to the page containing only that post. You can now do that on this blog as well. Clicking on the time stamp also works. The page of an individual post always shows comments and links from elsewhere to that page, though I have found the latter listing to be less than reliable. Clicking on the blog title at the top of the page takes you to the blog home page (i.e., to http://blog.deimel.org/.) Clicking on Blog Home, under Links in the sidebar, does so also. Clicking on n comments below a post—the n is a non-negative integer indicating the number of comments made about the post—takes you to a special Blogger comments page, where existing comments appear along with a form to post a comment of your own. (You must first log in with a Google or other ID.) This page normally does not show the original post, but there is a link at the top left of the page that allows you to display it if you like. Table of Contents: Unlike most blogs, Lionel Deimel’s Farrago has a complete table of contents on the Site Map page of my Web site, Lionel Deimel’s Farrago. Posts are listed there in chronological order, along with brief—though, alas, sometimes cryptic—descriptions. They are are also categorized as being about language, the church, administrative matters regarding the Web site or blog, or anything else (politics, the weather, etc.). The Table of Contents is helpful if you want to look up a blog title or look for posts around a particular date. For general searches, I recommend using the search box at the left of the Blogger toolbar at the very top of the page. Lionel Deimel’s Farrago: This is a link to my Web site, which I invite you to explore if you have never done so. It is, well, eclectic. In theory, what is on my Web site is more polished and of more long-term interest than what appears here, but you shouldn’t actually count on that. Pittsburgh Update: This is a site that deserves more attention. Each week, I post, with the help of two other members of Progressive Episcopalians of Pittsburgh, a summary of Episcopal Church news, along with links to more information on the Web. A small number of stories do concern the Episcopal Diocese of Pittsburgh, but the real intent of the site is to keep Episcopalians updated on the ongoing foreign and domestic church wars. At some point, a site like Pittsburgh Update might be unnecessary, but don’t hold your breath. Don’t look for feel-good stories here, but it is a good place even for church news junkies to check in to see if they’ve missed anything. The weekly news summary is usually posted near midnight on Monday. St. Paul’s’ Epistle: This is a blog about my own parish, a kind of alternative parish newsletter. It is a relatively new venture still looking for a following. I only expect folks with an actual connection to St. Paul’s, Mt. Lebanon, to read it regularly, but anyone wondering if such a blog makes a positive or negative contribution to parish life might want to have a look. I am the only author of posts at the moment and am not actively looking for help. E-mail Me: I probably don’t have to explain this one. At the bottom of the sidebar are links to Atom and RSS syndication. (Certain browsers also display syndication icons.) I won’t try to explain syndication here except to say that syndication allows you to read (or at least be notified of) new material on your favorite Web sites in one convenient place. I recommend Google Reader as a means to read syndication feeds, but I don’t pretend to know much about the alternatives, and I’m not going to try to explain Google Reader, either. Mainly, I want people to know how you can subscribe to this blog’s syndication feed. You’ll have to figure out what to do next on your own. Many of my readers are Episcopalians. Because I suspected that some of these folks might be less interested in my posts on language, say, than in my posts on the Anglican Communion, readers can sign up to receive e-mail when I publish a church-related post. You can get on the e-mail list by clicking on the link after the Atom and RSS links. Below About Me, at the right of the page, the blog sports my No Anglican Covenant logo. I believe that an Anglican covenant is a bad idea generally, and the draft now before Anglican churches well exemplifies this generalization. I encourage others to display my logo on their Web sites, blogs, or elsewhere where it might have an opportunity to influence Anglican opinion. Clicking on the logo takes you to the post, “No Anglican Covenant,” where I first announced the availability of the logo. That post also links to a larger graphic that should satisfy most needs for a higher-resolution image. Admittedly, there isn’t a big market for this sort of thing, but, if you’re reading this, you might be part of the small group that is interested. Take a look. Well, I’ve probably told you more than your really wanted to know, but, if you got this far, you must have learned something of interest. I hope this post will help you get the most out of Lionel Deimel’s Farrago. Happy reading (and commenting)! I am writing this at 9:30 PM on a laptop on my deck, bathed in the light of the computer screen and a candle. Although I only lost power for about four hours yesterday due to the thunderstorm—see “High Winds”—and “After the Storm”—power went out early this afternoon, and it has yet to return. I guess this is what it feels like to live in Iraq, except for the explosives and bullets, of course. I did attend choir rehearsal tonight. This was a tough call, as I feel I am coming down with a sinus infection or some such. I got to church early, however, to do a quick check of my e-mail. To my surprise, singing actually made me feel better. I was breathing better, anyway; my throat is another matter. I tried lying down in bed, but it has been a warm day, and my bedroom is hot and stuffy. Even on the deck there isn’t much of a breeze, but it is at least cooler. In a few minutes, the full moon will be peeking out from behind the house to provide a bit more light on the deck. Too bad that most of what I want to do (including post this) requires an Internet connection! 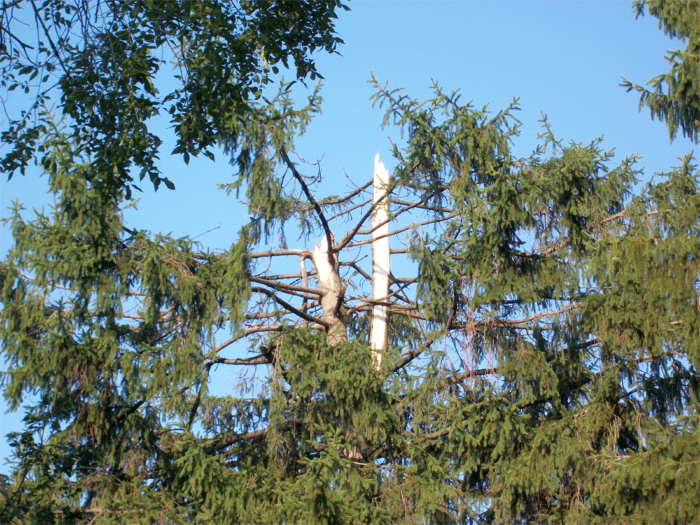 Update, 9/24/2010, 7:23 PM: Power returned to my house about 2:30 AM this morning. I’m posting this over the time stamp indicating when it was first written. Dr. Joan Gundersen has posted the first part of an essay titled “What the Diocese of South Carolina May Get Wrong.” The essay deals with the resolutions about to be passed—assuredly they will be passed—by the convention of the Episcopal Diocese of South Carolina. Gundersen is well qualified to write about what South Carolina is about to do. Not only was she a General Convention deputy from the Episcopal Diocese of Pittsburgh who had to vote on the Title IV revisions, but she and chancellor Andy Roman took the lead in rewriting the Pittsburgh canons that deal with the new disciplinary rules of The Episcopal Church. As she mentions in her essay, Gundersen is a member of the diocese’s Committee on Canons. In her next installment, Dr. Gundersen plans to deal directly with constitutional questions related to the new Title IV. I was surprised this morning by a 6:45 AM robocall from Mt. Lebanon warning me that there are many trees and power lines down and many traffic lights out. The call announced that schools are closed today and advised everyone to stay at home. Yesterday’s storm clearly hit my community harder than most in the area, although neighboring communities were also heavily impacted according the the local news from WDUQ-FM. The radio station put the number of Duquesne Light customers still without power at 13,000. (Duquesne Light is not the only power company in the area. Another 13,000 customers are also without electricity.) According to the Post-Gazette, the storm cut off power to 82,000 households and businesses. Rain seems to have caused little damage; high winds and lightning were responsible for most of the trouble from the storm. 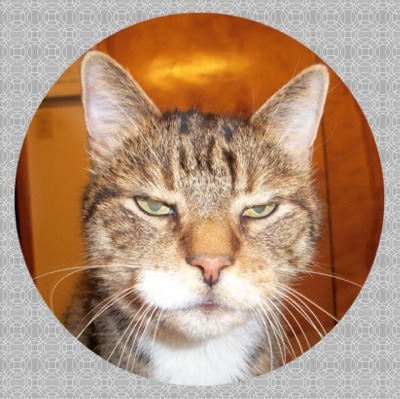 I have food in the house, including cat food, and no pressing reason to go out today except for choir rehearsal tonight. It is not clear whether we will have rehearsal, but I suspect that we will if the church has power. 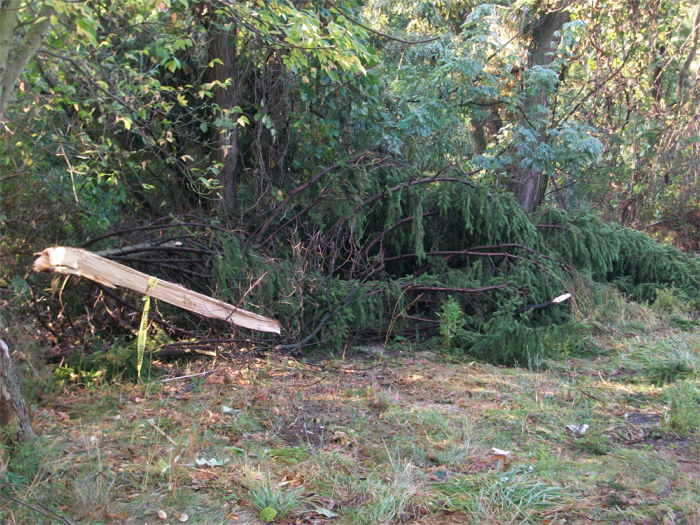 I did see a large tree branch down in front of St. Paul’s yesterday, but there were no power lines nearby. A couple of days ago, Tobias Haller wrote a post on his blog, In a Godward Direction, called “Witness to the Witnesses.” There, he describes a visit to Memphis, Tennessee, where he took part in the celebration of the life and ministry of the Martyrs of Memphis. I have, for some reason, always been moved by the story of, as styled in Lesser Feasts and Fasts, “Constance, Nun, and her Companions.” The Episcopal Church celebrates these folks, also known as the Martyrs of Memphis, on September 9. Certainly, it is easier for me to identify with this commemoration than with martyrdoms of many centuries ago. Also, having grown up in New Orleans, another city plagued by yellow fever in its early years, it is easy to relate to the plight of Memphis in the last quarter of the nineteenth century. The yellow fever epidemic of 1878 in Memphis killed more than 5,000 people, among them Episcopal priests and nuns who stayed behind to minister to the sick, even after much of the population had fled in terror. I have never put much stock in pilgrimages and saints’ relics, but Haller’s description of his Memphis activities, and particularly his visiting the graves of the martyrs and employing the “Memphis Chalice” for communion, was very moving. It caused me to reread information about the self-sacrificing Christians who put service to others ahead of their own safety in that terrible 1878 Memphis summer. I invite you to read the pages about Constance and her Companions from the 2000 edition of Lesser Feasts and Fasts, which you can find here. James E. Kiefer offers some additional details, as does Wikipedia. Update: Fr. John-Julian has graciously sent me an excerpt from his recent book Stars in a Dark World: Stories of the Saints and Holy Days of the Liturgy about the Martyrs of Memphis. This account offers more detail than any of the references I cited above. Fr. John-Julian’s 792-page 2009 paperback is available from most of the usual sources. You can also find it here. I was staring at a box of saltines the other day and began contemplating the spelling of “saltine.” Of course, we pronounce this word as \sȯl-ˈtēn\, but, if we were to encounter the word without ever having seen it before, we would likely pronounce it \sȯl-ˈtīn\. After all, we describe the point of a fork as a tine (\ˈtīn\). 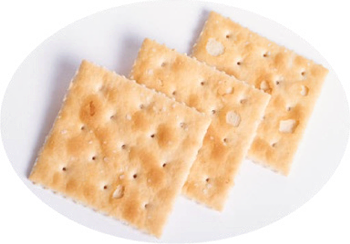 “Saltine” is one of those English words whose pronunciation simply does not make sense. The word was apparently trademarked by Nabisco, which, no doubt, decided how the word should be pronounced. We’re now stuck with the spelling and pronunciation. While driving to Calvary Church to meet a friend Monday, I heard a curious story, “Religious Search Engines Yield Tailored Results,” on All Things Considered. According to the story, “[s]ome Jews, Muslims and Christians are abandoning Yahoo and Google and turning to search engines with results that meet their religious standards.” The story covered three “search engines”—perhaps something of a misnomer—that return results tailored to the sensibilities of conservative Christians, Jews, and Muslims. This morning, however, the advisory has been taken down, and the Find button seems to be working consistently. I began, naturally, by looking up my own name. “Lionel Deimel” produced 36 results, none of which were about me. A restricted search for my name on Google produced “about 9,420 results.” (I didn’t bother to actually count.) A Google search for “Thinking Anglicans” yielded almost 26,000 pages, the first of which was the well-known UK site. The corresponding search on SeekFind returned a mere 5 pages, none of which had anything to do with that Web site. A SeekFind search for “quantum mechanics” produced more information than one for The Episcopal Church: 102 results. The pages cited had such titles such as Creation and Quantum Mechanics, Reasonable Faith: Question 138 - Divine Sovereignty and Quantum Indeterminism, and Who created God? - ChristianAnswers.Net. No results were returned from Web sites devoted to science. An exception seemed to be a site called AllAboutScience.org. Although the information does not appear on this Web site, the site is a project of All About God Ministries, Inc. AllAboutScience.org is really all about religion. The usefulness of a site like SeekFind is quite limited, even for the conservative Christian who wants to be isolated from views contrary to his or her own. In any case, SeekFind is in no way a general-purpose search engine. (A Search for “Wendy's” is no help in finding a nearby fast-food restaurant.) The only use I see for this search engine is providing rhetorical assistance to argumentative conservative Christians. The SeekFind view of the world is so narrow, however, that I suspect it is perfectly suited to only a sliver of that population. Moreover, even the serious polemicist needs to know what opponents are saying in order to respond to their positions. SeekFind is useless for that. SeekFind, I am afraid, is only for the Christian right know-nothing crowd, those folks who know the truth, the whole truth, and nothing but the truth. May God preserve us from such people! I was reading today about the conflict in the Episcopal Diocese of Pennsylvania involving its controversial bishop, Charles Bennison, who has returned to his post after eluding deposition on a technicality. (The latest Episcopal News Service story about the situation can be found here.) There is now ongoing discussion in Episcopal circles about how we might facilitate the removal of a bishop whose relationship to his or her diocese has become dysfunctional. On the other hand, we protest whenever some evangelical preacher suggests that a natural or artificial disaster is the fault of its victims, who are said to have been punished for their iniquities by means of divine intervention. (The instrument of destruction might be an Indian Ocean tsunami or airplanes crashing into the World Trade Center.) We resolutely dispute that God metes out vengeance in such a fashion, even though the Bible speaks frequently of such instances. We are inclined to attribute good things to heavenly dispensation, but we dismiss the possibility that bad things have an equally metaphysical explanation. Likewise, we pray for the sick to recover but do not blame God when they fail to do so. We cannot, I think, have it both ways; either God intervenes in worldly affairs and should be credited with doing so, or God does not intervene, and we are pretty much on our own. At the risk of being accused of heresy, I am inclined to see God as uninvolved in the day-to-day management of the universe. Prayer is probably useful, but not for convincing God to grant our wishes like some genie found in a lamp on the beach. Prayer, I suspect, makes us more sensitive, thoughtful, and less anxious. It does not make us richer, our families healthier, or our enemies either nicer or transformed. I’m not sure if these thoughts make me a bad Episcopalian. Be assured that I am open to listening to counterarguments for the point of view expressed here. Perhaps I should pray for guidance. My reading led me in two directions: I began writing a list of questions to which we should have answers before we ask, for example, what we should do about the proposed Anglican covenant. I was also pulled in a more mischievous direction, where I began writing slogans for The Episcopal Church. The slogans, in part, reflect possible attitudes implicit in the answers to the questions. They also challenge us to decide how we want to represent our church to the world. I have no definitive answers today and might be hard pressed confidently to answer all the questions for myself. 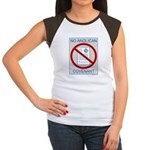 My slogans are serious, whimsical, provocative, and perhaps even mean or angry. What is it becoming or might be becoming? What do we want the Anglican Communion to be? How important is the Anglican Communion to The Episcopal Church? What is The Episcopal Church willing to give up to remain a part of the Anglican Communion? What is the relationship of Anglicanism to the Anglican Communion? What are the major movements within Anglicanism today? Where does The Episcopal Church (or Episcopalians) fit into such a classification? How important is “unity,” and “unity” with whom? What is the proper relationship between church and society, and how much does that change across societies? How much influence (and what kind) should one Communion church have over another? Is the proposed Anglican covenant an instrument of concord, a weapon in the church wars, a roll of the dice, or something else? Within the Anglican Communion, should The Episcopal Church seek peace or victory for its own point of view? Is a connection to Canterbury really important, and, if so, why? Do we believe that leaders within the Anglican communion are acting in good faith? What are the consequences of the answer to the previous question?